Braid and Twist Remover helps remove braided and twisted styles as it detangles, stops breakage and softens. fresh, healthy, natural and well groomed locks. 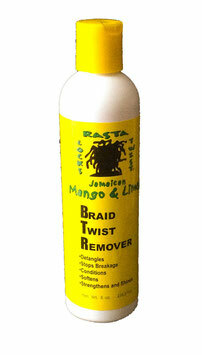 For best results use all other RASTA Locks & Twist Products as directed.